Playing with clay might have been something you liked to do as a kid, perhaps even now, whether you have kids or not. Sadly, clay often causes a mess and is not that great to clean up. 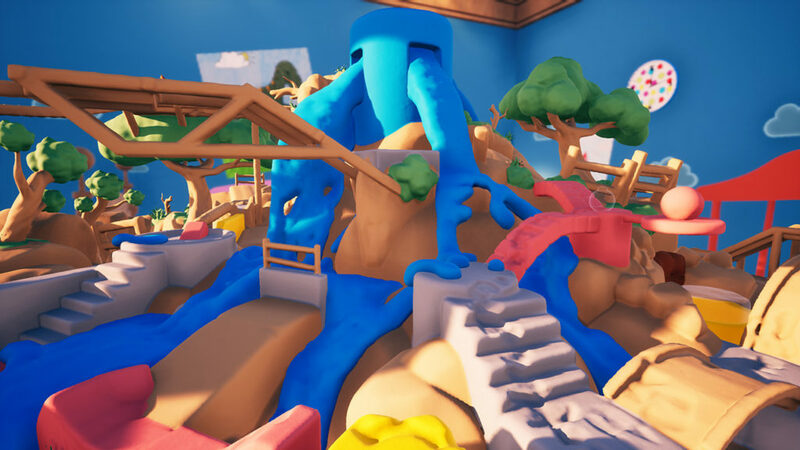 This is where Claybook comes in, it is a game that gives you the feeling of playing with clay while also offering you the fun of some puzzles and platforming. If you are more the creative person, there is also a sandbox where you can create the things your heart desires. 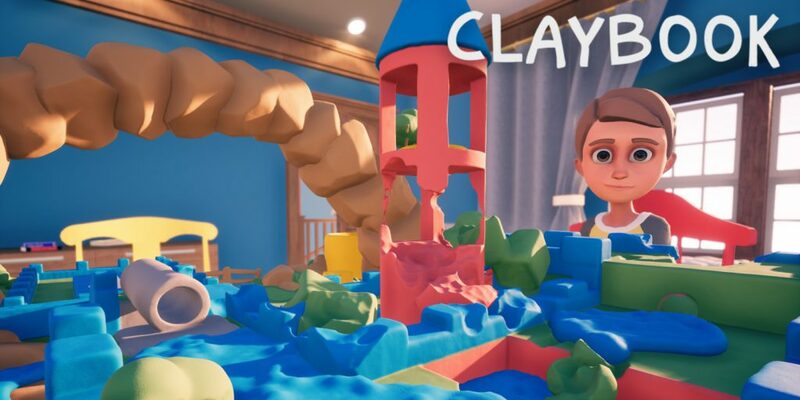 Claybook was developed and published by Second Order and we got a chance to review it. There isn’t a story present in Claybook, since you are usually just finishing missions without any background. Of course, since the game also has a sandbox part, you can easily tell your own story in there. You might be even able to imagine a story for the default books. The design of Claybook is really interesting, everything plays out in a giant box on a table, filled with clay. Everything inside the box is made out of clay. The outside of the box looks like a little boy’s room, with details added to make you feel like a small ant in a big room. A little boy is sitting on one end of the table and he is holding a controller that actually acts as if it is your controller. It moves when you move your controller which is a nice feature. The graphics are quite simple, which actually makes sense since everything is made out of clay and the texture of the clay itself is quite smooth. Every level does, nonetheless, look really nice, with different themes throughout the books. Claybook’s music is very relaxing and upbeat. There are a few different tracks; each in the same style. The theme of just having fun and playing with clay, like a child but fancier, does also come through in the playfulness of the music. Sound effects in Claybook are very minimal; only the menu and objectives have a sound effect. 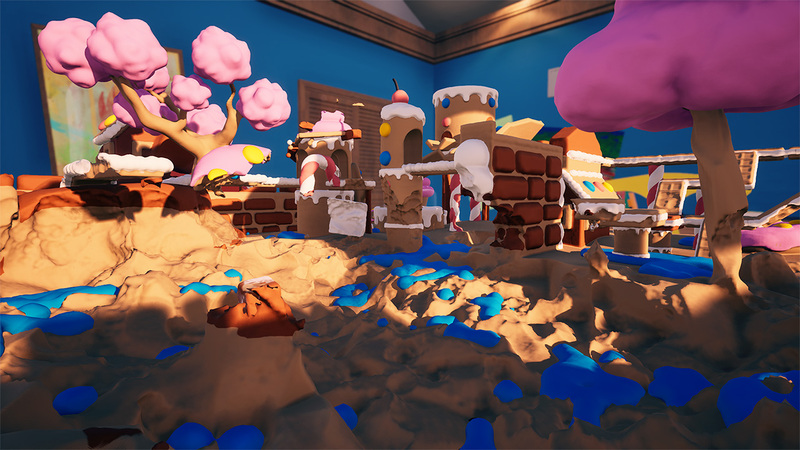 Claybook is a puzzle, platform and sandbox game where everything is made of clay. There are different default “books” which have the same sort of theme. Each one of these books has four levels that you can play. Each level will have one or more missions for you to accomplish. Once you reach 50% completion you can go to the goal and end the level. Yet, it is, of course, better to reach 100% or at least close to a perfect score. Each level you will start off with a basic shape, which in most cases is a ball shape. This basic shape, however, can be shaped into other shapes; a cube, ellipse and a cylinder. Some shapes are more useful for certain parts than other shapes. A cube is, for example, better at climbing steep slopes and a ball will, of course, roll better so get you somewhere smoother and faster. Some levels will have other shapes in random locations, and you’ll be able to switch with these shapes. Be that as it may, once you switch in another shape you can’t change shape again unless you switch with another shape or switch back with the basic one. 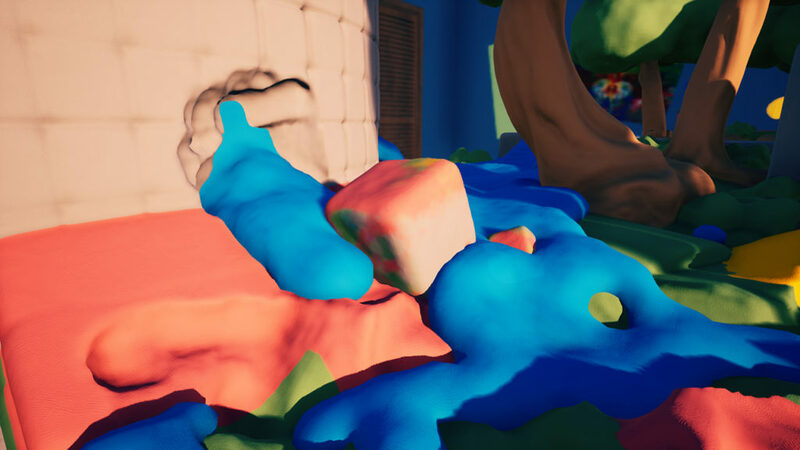 The different objectives you could get in a level are; fill something with liquid, absorb something, move a shape to a certain spot or just generally get to a certain waypoint. How you accomplish these goals is totally up to your creative mind. You can sabotage yourself accidentally by making holes in the wrong spot. Sometimes the camera also makes it harder to succeed for certain levels. It gets wonky when you are close to another object. Sometimes it gets sort of “stuck” underneath an edge which causes you to not see what you are doing until you move it to see from another angle. If you have to go over small platforms it is also annoying to suddenly move around as it will not move where you want it to which causes you to fall off, since you can’t see what you are doing. There is also another bug that if you let the switch go into sleep mode and then turn it back on, it will give an error and would even need you to restart Claybook fully. This is quite silly certainly in handheld mode where you might turn it off or it would go into sleep mode automatically. With your shapes, you are able to move around which already causes small dents wherever you go, but you can also consume clay faster. This is a fast way to make holes or to absorb things that you need. Some shapes instead of digging holes, have another special. There is, for example, one shape that could pull liquid to itself like a magnet. 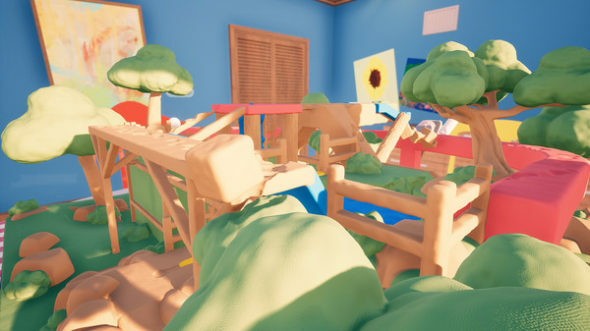 There is a sandbox mode in the game where you can create your own level or just play around with clay objects in the game. If you’re creating a level, you get the option to share this with the Claybook community. You’re also able to play other people’s levels and try to beat the challenge that they have put before you. Sometimes it could turn out a bit too crazy, but it might be fun to browse between the ideas of the community and upvote a level you found fun. Claybook is a fun game that makes you able to play with clay without making a mess. You are able to use your creativity to solve missions. The game might be a bit more targeted to a younger audience but could still be fun for every age. You get five books, each containing four levels and after you finish those you can create your own levels or play the ones others created. The game is likely able to keep you busy for a while.